Royal Caribbean Cyber Monday Cruise Deals Are Now On! Cruise News Royal Caribbean Royal Caribbean Cyber Monday Cruise Deals Are Now On! It’s Cyber Weekend which means cruise deals galore! There probably isn’t one cruise line which isn’t offering some kind of special perk or saving when booking a cruise vacation. 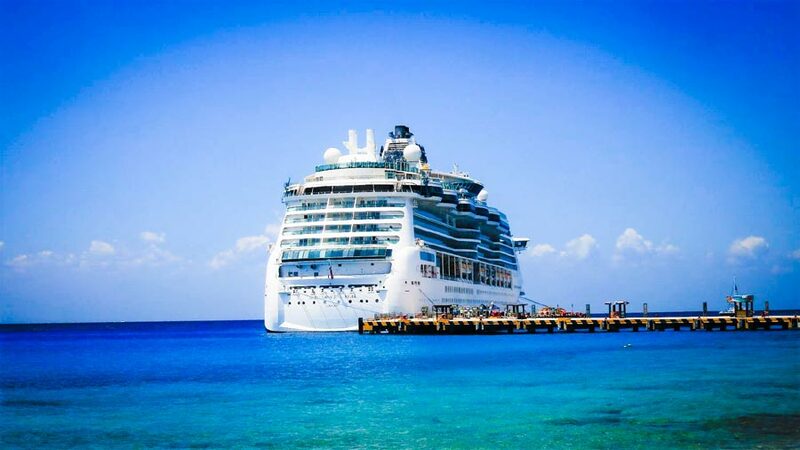 Royal Caribbean is leading the way with some great incentives which come to an end after Cyber Monday. The cruise line is running its Cyber Weekend sale which will come to an end after Cyber Monday. Royal Caribbean is offering 60% off a second guest, up to $300 in savings and kids get to sail for free. The sale applied to sailings on or after December 27, 2018. The offer details 60% off the cruise fare for a second guest and 30% off a third guest and higher when booked in the same stateroom. Sailings 5 nights or less, $50 savings for Interior and Ocean View, $75 for Balconies and $125 for Suites. Sailing 6 nights or longer, $75 savings for Interior and Ocean View, $200 for Balconies and $300 for Suites. The kids sail free promotion applies to the third guest or higher who is under 12 years of age. This is for 4-night sailings and longer. The Cyber Sale will come to an end on November 27 so cruisers have a limited time to take advantage of the deals. Just remember to always check the terms and conditions before completing any booking. You can check all the details on the official site.